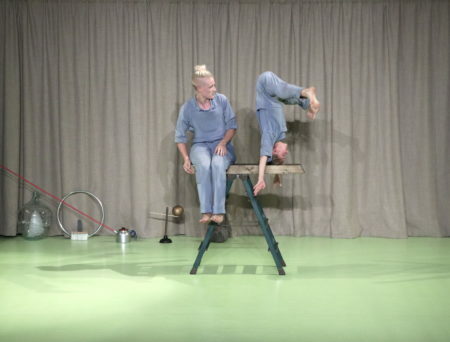 Two circus performers create living sculptures from common objects and their own bodies. 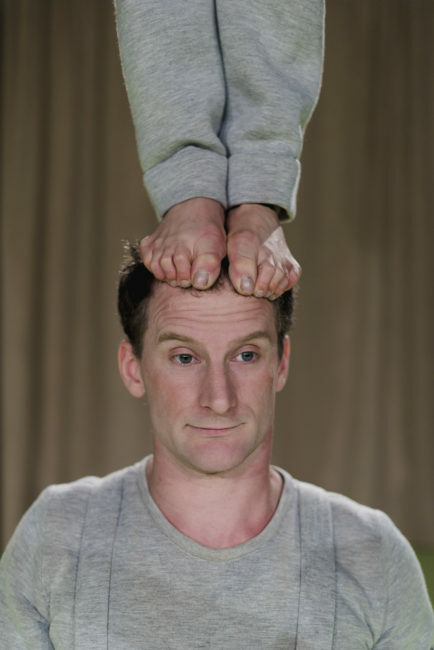 Through acrobatics and magic, they find moments of balance, where almost everything is perfect and still. As this moment is quite fragile, it requires concentration but also a little bit of luck. With elegant movements they create installations where the different kind of elements have to interact, keeping the picture from falling apart. 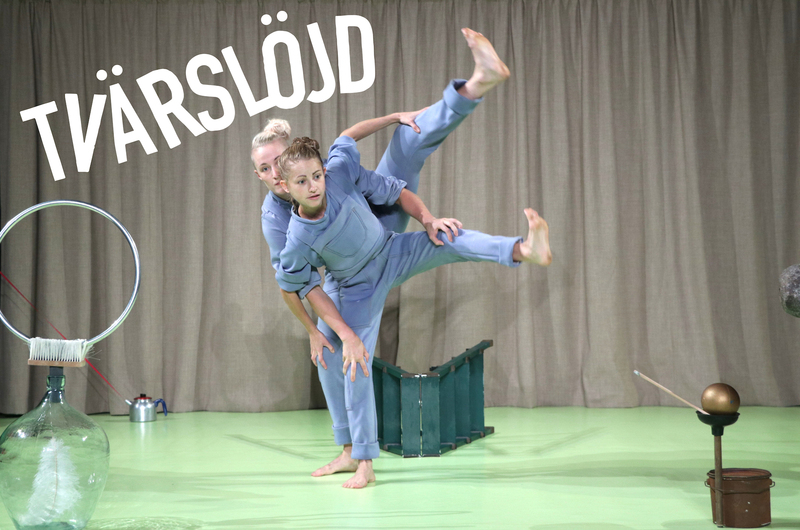 In the performance of Tvärslöjd the story is not an ordinary story but is open for the children’s interpretation and imagination. Two characters are creating balancing games with old-fashioned everyday objects. They surprise themselves to find various uses of the tools on stage. Where are they? Maybe inside a giant paint bucket? A secret room? Or in a magical forest? The performance is about how imagination gives us an opportunity to go from nothing to something, from nowhere to anywhere. To encourage children to learn new things - things they did not know that they could possibly learn. Kompani Giraff’s performance for children was breaking borders. This kind of performances are especially needed by adults. 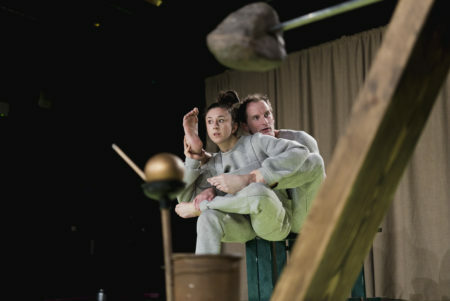 In Cirko Festival’s Tvärslöjd performance imagination has no limits. 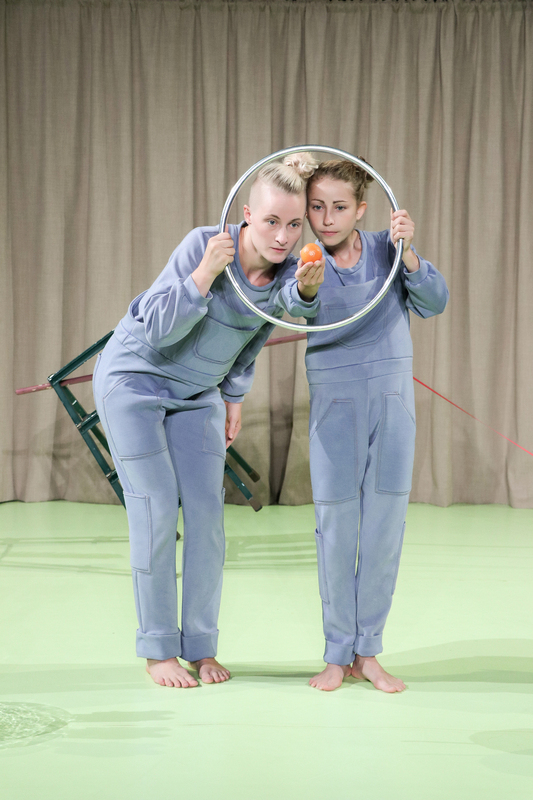 It is almost rude that a performance is categorized as children’s theatre or circus. Imagination is let loose and borders are often broken in such anarchy that it is grown-ups who especially needs these kind of performances in their everyday life. 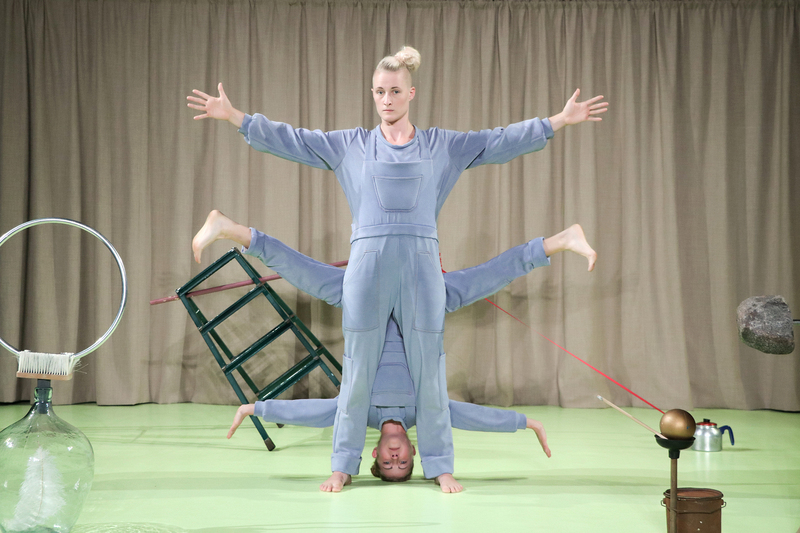 Stockholm based Kompani Giraff’s Tvärslöjd performance on Cirko Festival is exactly that. A bite of sweetness where Pippi’s and Moomin’s almost dumb but wonderful worlds meet. You can try everything and nothing is impossible. 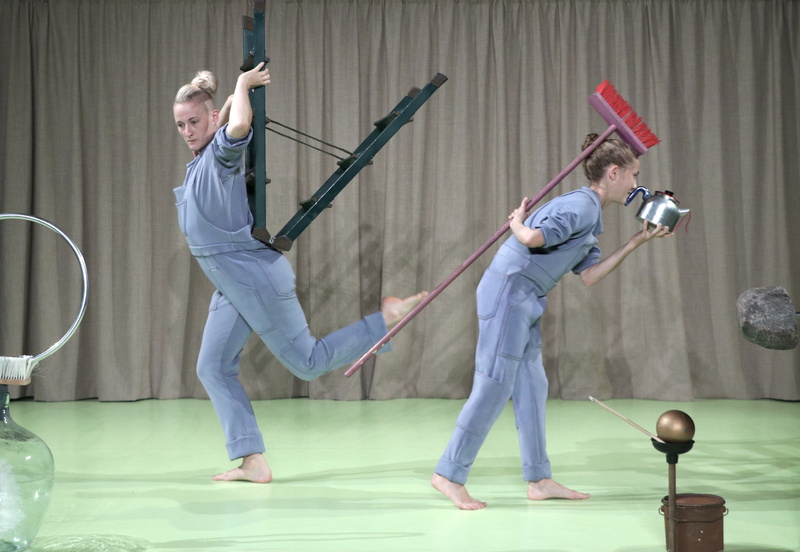 Under Victoria Dahlborgs direction Jenny Soddu and Julietta Birkeland take their audience by being naive and putting their whole personality into it. This is not children’s theatre underlined. 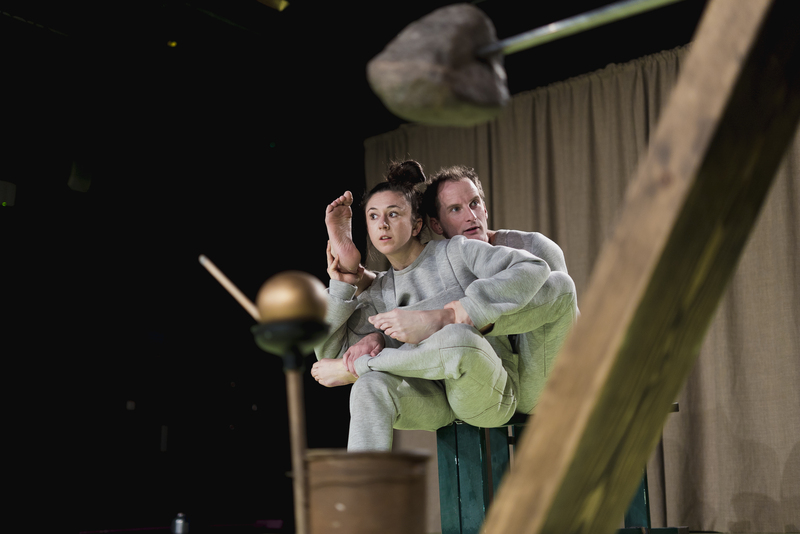 The performers are of course competent circus artists and they master their field well. Couples acrobatics is vaulting but it’s hidden with no fuss to everyday chores. Cleaning looks like fun and mopping seems happy. It almost make the audience jealous in a sweet way – if only I could start my mornings like this and be as energetic in everyday life. Boring is turned around and harnessed for having fun. Possibilities are seen in lots of obvious chores. They are true alchemists of everyday life. 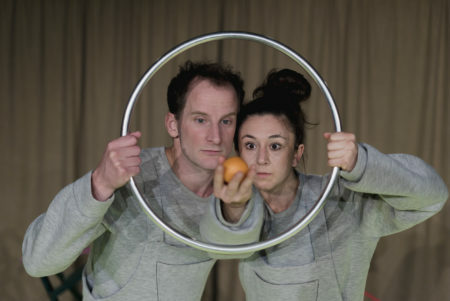 The couple work so well together that you almost don’t think the performance to be new circus. Wordless performance is a celebration of physical expression. 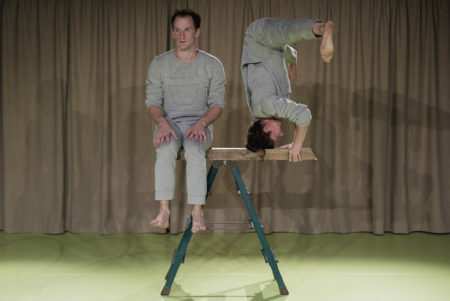 More that acrobatics it is a fusion of circus and dance, using all possibilities of the human body. 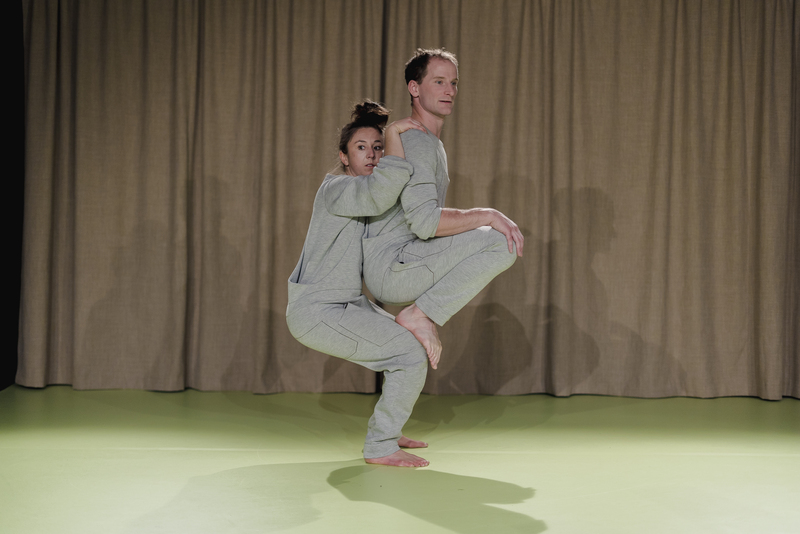 This 30 minute performance has admirably compressed a definition-free captivating free association and the joy of searching for and finding new things. Self-irony is not forgotten and possibly adult oriented. 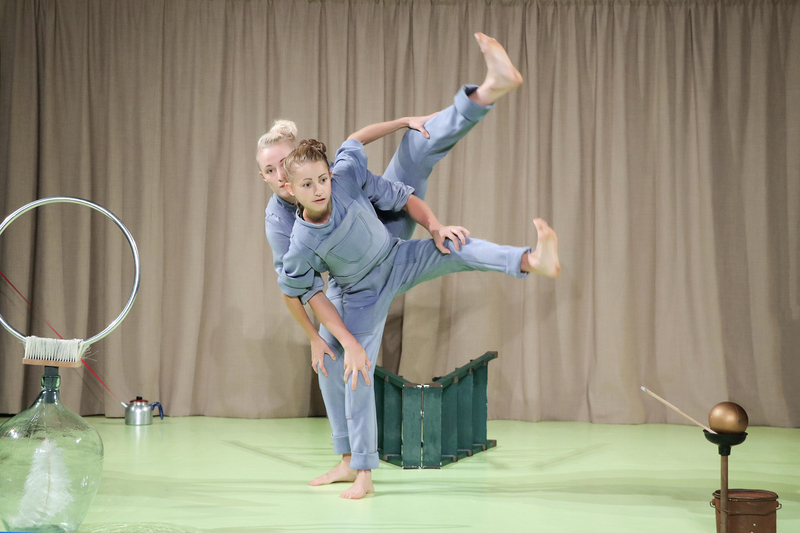 Soddu and Birkeland seem to know everything that has to do with manipulating objects and body control. Virtuosity does not take over, the space is left for fun-having and good mood. Sometimes exaggerated positivity is annoying in children’s performances but in this one it all seems genuine.